Your family has booked the perfect hotel, or you've found the perfect VRBO to share with your friends and in-laws, you know what restaurants are a must to visit, and swimsuit shopping has started. 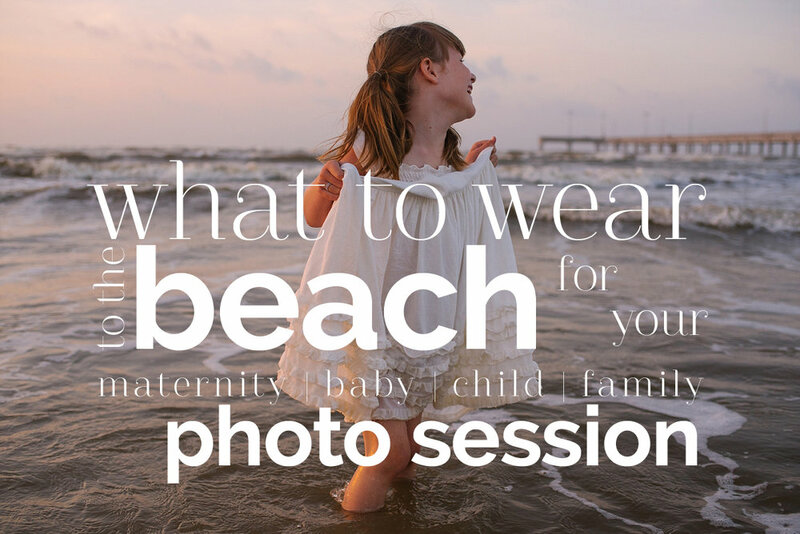 But have you thought about getting professional photos while you are at the beach? If you are visiting the South Texas Coast this beach season and are looking for a Rockport Family Photographer, be sure to check out my portfolio. I grew up in the area and love finding locations for my clients that are fun and beautiful that exemplify the highlights of spending time in the salty air, whether you're a resident or just visiting. Another fun part of my job is helping my clients figure out what to wear for their sessions! Encouraging my clients to feel comfortable and confident in their own skin through their wardrobe produces an environment that allows genuine connection and heartfelt emotion. Here are some general guidelines to get you ready.